The school year has now started (we’ve been back for two days with the kids, so far), and as I’ve returned to a classroom of my own this year again, I’ve decided to return to the School Spirit blog again as well. There is a link up above the comic, or you can just read it here instead. There will be thoughts on the job itself, pieces to do with School Spirit clearly, and anything else that comes to mind I think might be worth putting in there. For now, I’m outlining how I’ve set the room up as a year-long Role Playing Game with the kids. 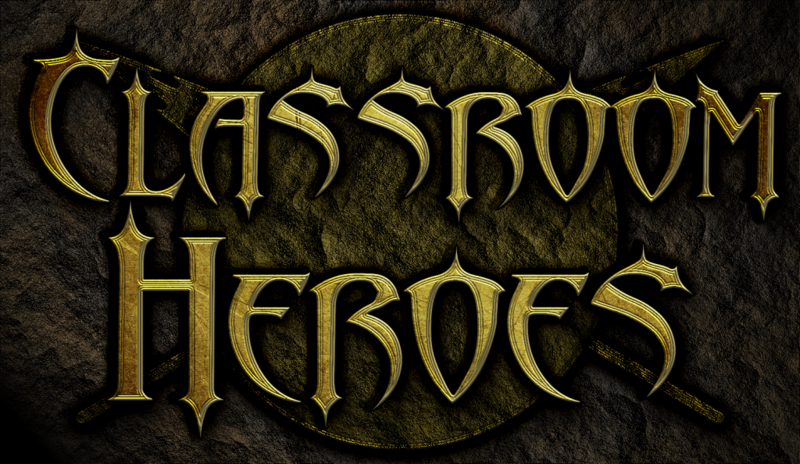 We’ve named it ‘Classroom Heroes’ and the kids have chosen to play for the year as either Knights, Rogues, Wizards or Healers. In short, they earn Experience Sticks for everything they do, and more if they go looking for further learning chances, or are seen just being good little citizens. While it’s only early days, and we won’t officially start as our chosen classes until tomorrow, the early interest has been enormous. I’ll be keeping a running commentary on how it’s all running through the year, but at the moment, you can read about how I’m setting it all up and the thoughts and learning outcomes behind it. 1100 queries. 30 mb Memory usage. 2.417 seconds.